Lean construction includes techniques that aim to reduce waste in the construction process, helping healthcare facilities save money and be more efficient. The waste can include physical material, time, money, or an inefficient business process. Many lean construction activities have been implemented over the years with the goal of eliminating these common types of waste. Two such techniques include pull planning and value-stream mapping. 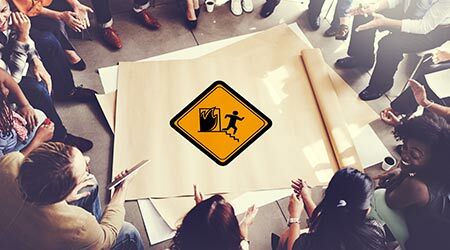 Pull planning is a lean technique that addresses the schedule from project completion backward so that the overall schedule is built on actual durations needed at each phase of the project rather than starting at the beginning and assigning arbitrary time periods to work activities. Identify the topic of study. Map the current state of the process including steps, delays, and the flow of information. Examine the current value- stream map and determine areas of waste to be minimized or eliminated. Create a map outlining the new process that aims to eliminate waste and unnecessary steps. Implement the new process to eliminate waste and save time. Lean methodologies are used during preconstruction and construction to streamline the actual building process. These include the 5-S system, 3D and 4D BIM, and prefabrication. 5-S is a simple process that can be integrated throughout the lifetime of a project, but it stands for sorting, sweeping, simplifying, standardization, and self-discipline, all with the goal of eliminating inefficiencies and waste. 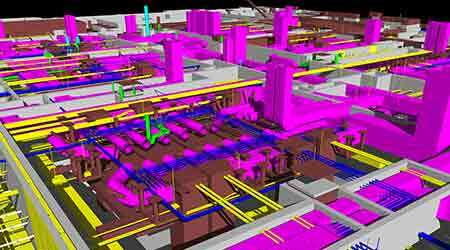 3D and 4D BIM are used to coordinate multiple trades of work, create mock-ups for end user confirmation, for sequencing studies to maximize efficiency in construction scheduling, and to reduce waste due to conflicts in the field requiring re-work. Prefabrication of building components off-site results in less congestion of trades onsite and a higher-quality product as it’s produced in a controlled environment. In response to owners’ desire for a building that operates at peak efficiency, the design and construction industry has turned to forms of integrated project delivery to engage the right industry partners at the right time. Integrated project delivery, design-build, and progressive-design-build are common techniques. These delivery methods include a single contract with the owner in which the designer and contractor share the same contractual obligations to meet project objectives. This formality fosters additional buy-in to embrace lean principles during design and construction but also a focus on the efficiency of long-term building operations.